The first sustained-release magnesium alloy ruminal bolus was patented by The University of Glasgow, 1966 (Hemingway & Ritchie) and contains an alloy of magnesium, copper and aluminium which dissolves uniformly by electrolytic action to provide a continuous supply of magnesium for 21-28 days. The bolus was licensed to aid the prevention of a metabolic disease called hypomagnesaemia in cows and ewes when grazing spring grass and also in the prevention of hypocalcaemia at calving time. The magnesium bolus was the first magnesium alloy composition (patented) which could successfully be used as an intraruminal device in the strategic supply of magnesium to aid in the prevention of hypomagnesaemic tetany in cattle and sheep. "In one study the proportion of twins born to ewes given the bolus was very significantly (P<0.001) higher than for the untreated ewes". 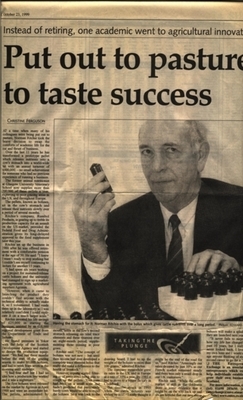 Patent protection meant that the Glasgow device was the only such bolus on the world market for 20 years and it continues to have a large international market. The technology for the Mg/Al/Cu alloy was subsequently utilised by others in 'pulse release' anthelmintic (anti-parasitic) products. All-Trace boluses also lie in the rumen-reticulum with 9 essential trace elements and vitamins dissolving from a constant surface area for about 8 months. This device was patented by the University of Glasgow 1980 (Hemingway, Parkins & Ritchie) and is the only bolus that supplies a sustained dietary supplement of all 7 trace elements and the 3 fat soluble vitamins required by ruminant animals. Many millions of these products have been sold worldwide and specialised development of the trace element bolus continues. Reginald Gordon Hemingway was an animal scientist who held the Chair of Animal Husbandry from 1969-1990. 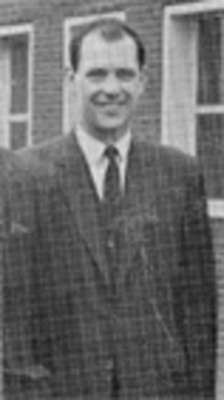 He began working at the University in 1953 when he joined the Department of Chemistry. 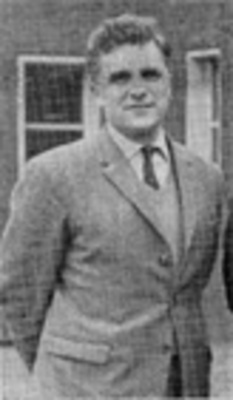 In 1960 he moved to the Department of Animal Husbandry at the Vet School in 1960 and spent the rest of his career there. With colleagues Norman Ritchie and James Parkins he designed the first slow-released intra-ruminal boluses to prevent mineral deficiencies in cattle. 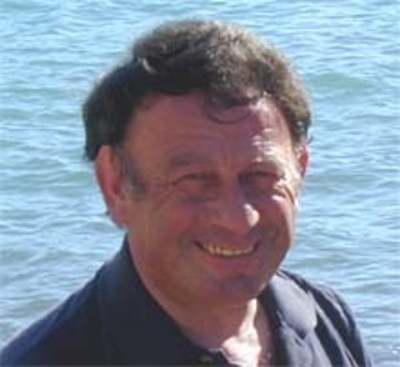 Their device was patented by the University of Glagow and remains the only bolus that supplies a sustained dietary supplement of all seven trace elements and the three fat soluble vitamins required by ruminant animals. Many millions of these products have been sold worldwide. Hemingway, R.G. and J.J.Parkins. 1994. The adequacy of the supply of trace elements to cattle from a sustained-release rumen bolus system and from example mineral supplements available in 15 European countries. 45th Annual Meeting EAAP. Hemingway, R.G., J.J. Parkins and N.S. Ritchie. 1980. Rigid skin device for introducing nutrients and/or therapeutic materials into ruminant animals. European Patent Specification No 0 097 507 B1. Ritchie, N.S. and R.G.Hemingway. 1968. Magnesium alloy bullets for dairy cattle. The Veterinary Record. 82: 87-89. First and only patented bolus that supplies a sustained dietary supplement to ruminant animals. 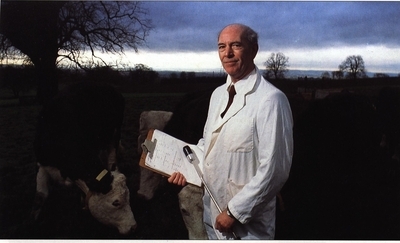 World Changing Project, "Preventing mineral deficiencies in cattle," in University of Glasgow World Changing (University of Glasgow, 2010); http://www.worldchanging.glasgow.ac.uk/article/?id=58 (accessed April 22, 2019). World Changing Project. "Preventing mineral deficiencies in cattle." In University of Glasgow World Changing. University of Glasgow, 2010. http://www.worldchanging.glasgow.ac.uk/article/?id=58 (accessed April 22, 2019). World Changing Project. "Preventing mineral deficiencies in cattle." University of Glasgow World Changing. University of Glasgow, 2010. 22 April 2019 <http://www.worldchanging.glasgow.ac.uk/article/?id=58>.